A decent dining setup is the cornerstone of one's domestic living space. Not simply a place to devour gastronomic treats or gulp tasty beverages, a dining area is a socialisation space—a crucial arrangement of surfaces and seats upon which you can gather friends, family and visitors. But what happens when you don't have any room for one? 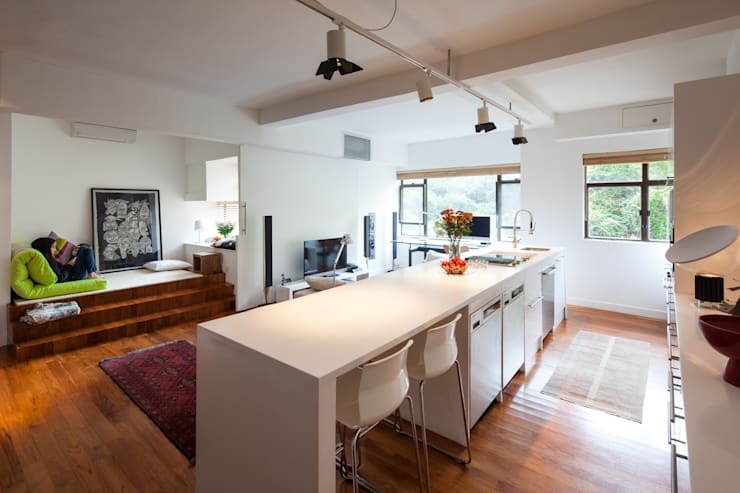 As wonderful as a dining room may be, most compact dwellings lack the available space for such a luxury. 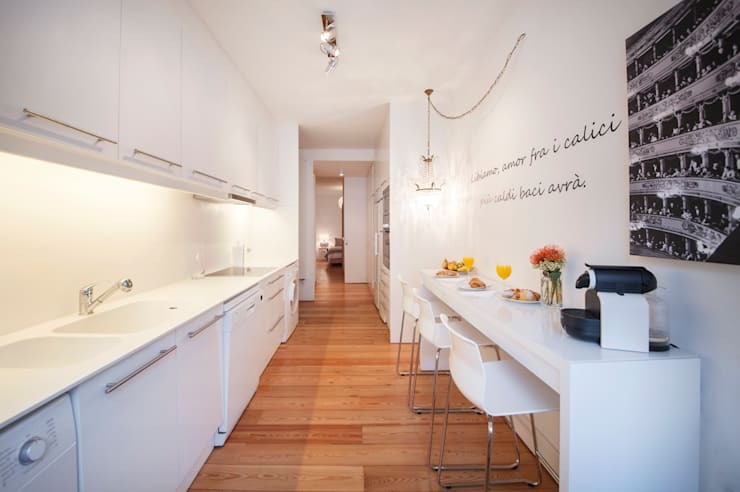 Today on homify we're going to take a look what you can do if you're missing this cosy culinary chamber in your abode. We've collated and gathered 8 dining ideas, when you don't have space for a dining room. Read on below to learn more, and take your home to the next level, today! No dining room? No worries! 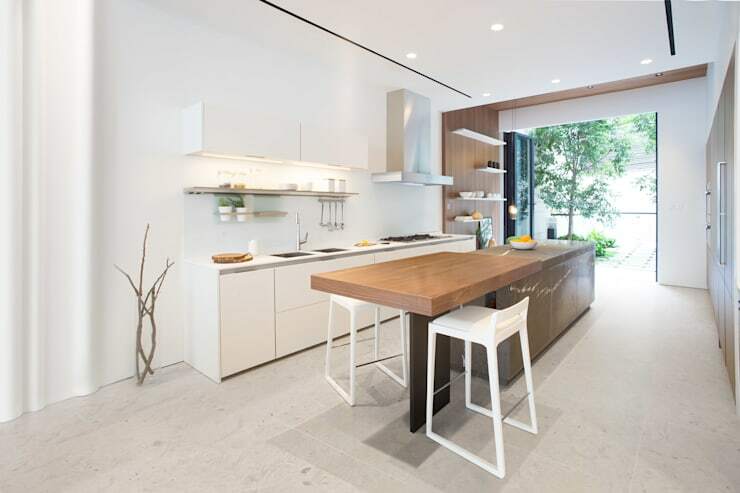 This sweet setup extends the length of the countertop, and adds handy stools that are perfect for gathering friends and family. Ideal for a compact home, this also provides a space that is customisable, and could easily accommodate more than two stools, should you need to seat several individuals. Everyone knows the best seat in the house is closest to the food, so why not embrace it by including your dining space within this area too? Similar to the first design, this takes things a step further and looks fabulously sleek. 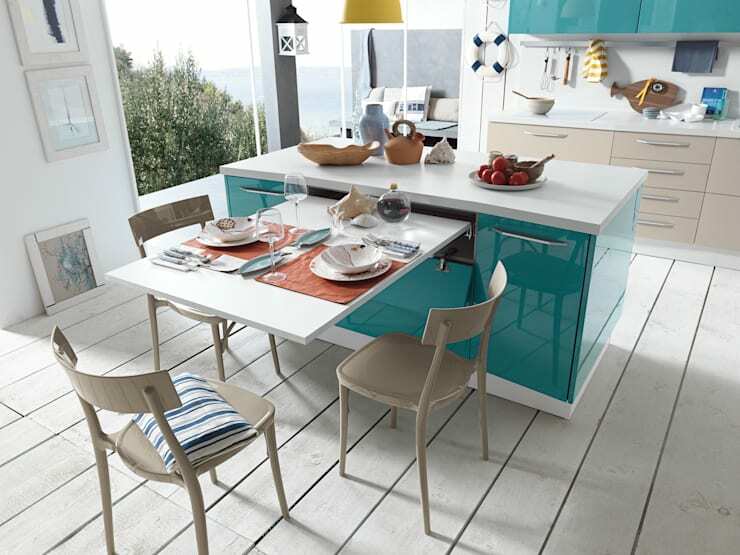 If you have a decent sized kitchen, but still lack enough room for a full dining table, why not go smaller? 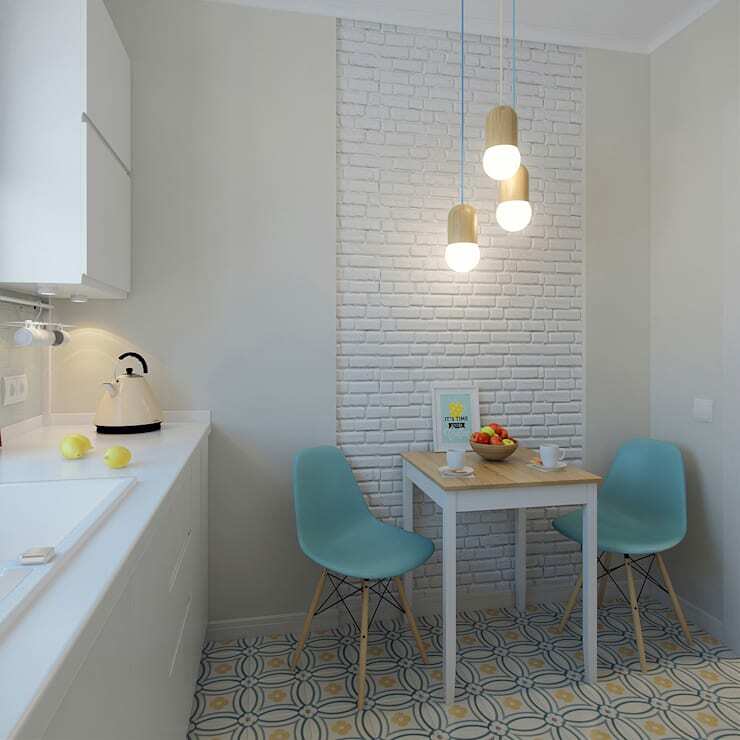 This example shows us that a compact dining area can feel cosy and enjoyable, while still offering a roomy and open aesthetic within the kitchen. 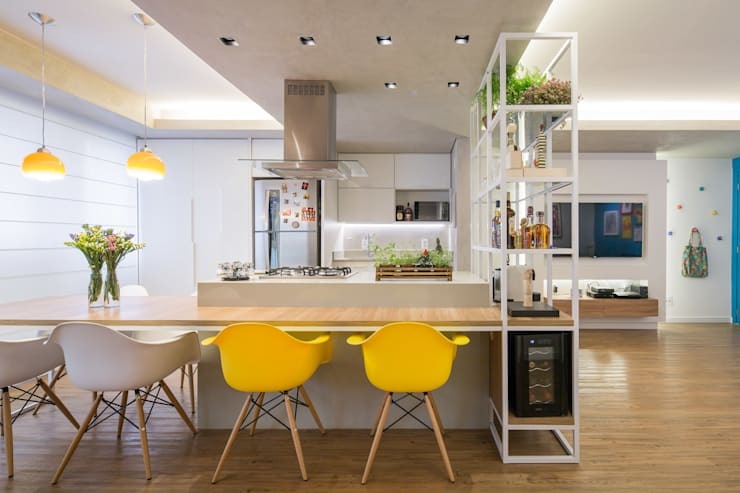 Without wasting space and adding a freestanding dining table, this example shows us that you can embrace your room by adding a long and linear addition to your kitchen. Modular and efficient, the designers of this seating area have gone for a design that mimics a teppanyaki bar, as the occupants can watch their food being cooked. Think you don't have any room for a table; why not consider one of these pull-out varieties that can easily be hidden when not needed? This will save you space, yet still provide an area for dining with your friends. 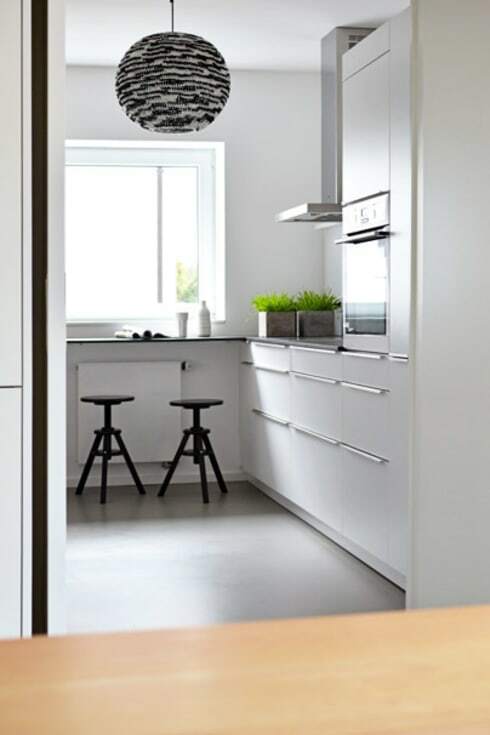 Utilising your space is crucial in a compact home. 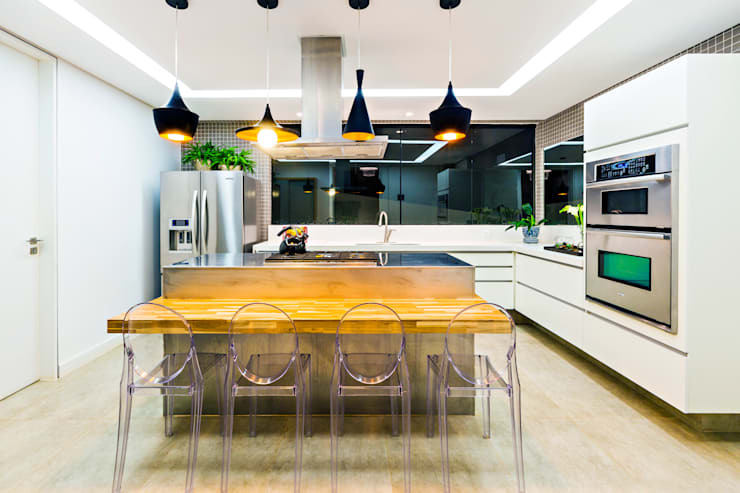 In this example the designers have added the dining space to the edge of the kitchen island, and separated it with individual suspended lights that give the essence of a modern bistro and bar. Continuing your counter underneath a window can provide a stylish, practical and easy place to sit without having to build a kitchen island, breakfast bar or additional dining space. Re-thinking your bare walls can provide a space for a slimline table or bar that provides an elegant and easy place to socialise, eat and prepare food too! Would any of these designs suit your compact home? Let us know below!